Chequered Tape Checkered Check Black & Gold Decal. 46" x 1". 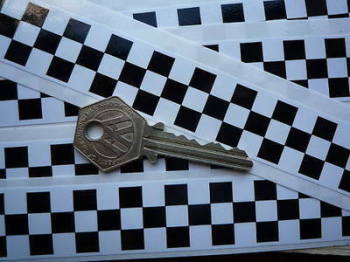 Chequered Tape Checkered Check Black & Silver Decal. 46" x 1". Chequered Tape Checkered Check Cut Vinyl Decal. 22". 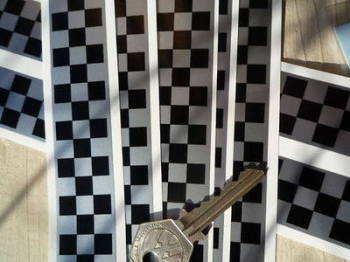 Distressed Style Chequered Tape Checkered Check Black & White Decal. 48".